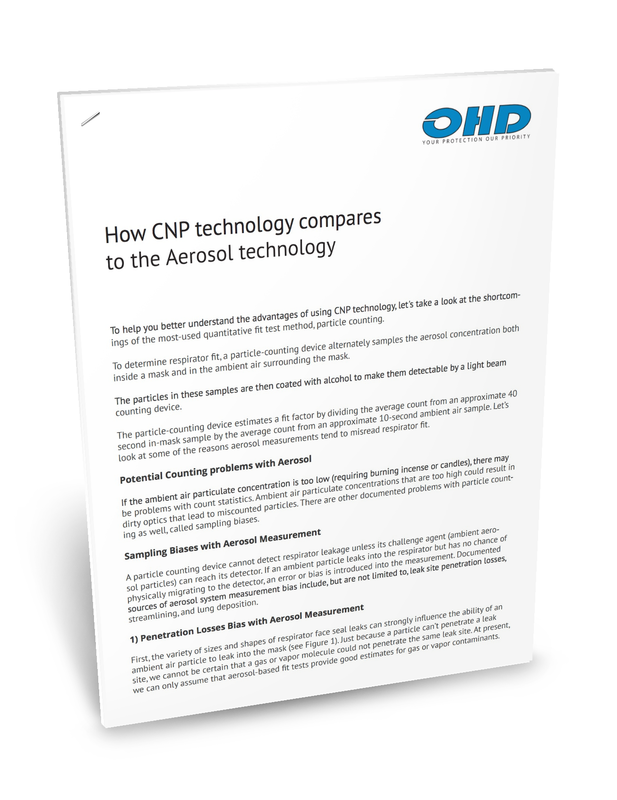 To learn more about CNP technology and how it can help you more effectively protect the health of your people, download our whitepaper, How CNP technology Compares to the Aerosol Technology. You can also read how the OHD Quantifit has become the leading technology in mask fit testing. Read our whitepaper on why CNP technology is the preferred method for fit testing.